Dairy products have gotten a bad reputation, partly because of fat content, and some people believe they have no place in a healthy diet. However, for many people, dairy products can play an important role in a healthy eating plan. Any foods made from animal milk, mainly cow or buffalo milk, are considered dairy products. Although butter, cream cheese, and cream are made from milk, they are considered to be fats. What Nutrients Come from Dairy Products? Dairy products can provide other nutrients as well; some products like milk may be fortified with additional vitamins like vitamin D or A. Reading the label of your dairy product can give you a better view of what nutrition you will gain. 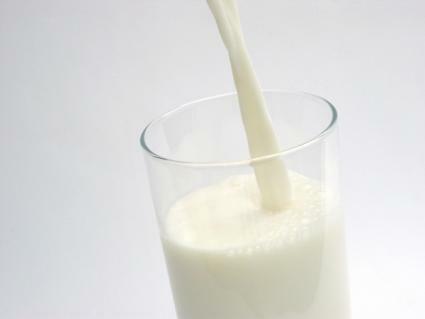 One of the main nutrients obtained from dairy products is calcium which can help create strong bones and teeth. If you do not get enough calcium, you may develop osteoporosis which is the gradual loss of bone density and bone thinning. Most people think of osteoporosis as an elderly concern, but in reality the time to address adequate calcium in the diet is during childhood and adolescence. This is when bone is being built and strengthened with calcium. Women are most affected by osteoporosis. Peak bone mass is reached by age 30. After 30 years of age, bone mass can only be maintained or lost. It is essential to have adequate calcium intake throughout your entire life. Calcium has many other jobs besides building bone and teeth, including regulating heart beat, clotting blood, and contracting muscles. Because of this, a consistent amount of this important mineral must be kept in the bloodstream. If adequate amounts are not consumed, it will be pulled from the bones, which can lead to osteoporosis. Since calcium plays such a large role in the development of bones and teeth and other functions in the body, the Dietary Guidelines for Americans have issued recommendations for daily dairy intake for children and adults. While getting adequate amounts of dairy in your diet is important because of the nutrition, dairy products do contain a significant amount of fat which can lead to other health problems like heart disease. Now that you know the benefits dairy products may have when included in a healthy diet, you want to be able to include them in a healthful way. Finding ways to lower your fat intake from dairy while continuing to enjoy the benefits could be very important for your health. There are many low- and no-fat dairy products available which offer the same nutrition with less fat. Hard cheeses like cheddar and Swiss can often be found in lower fat or fat-free versions as can ice creams and frozen yogurts. Two percent milk, whole milk and the products made from these milks contain higher levels of fat and their intake should be limited. Instead, one percent or half percent milk should be consumed. Some people are unable to digest the milk sugar called lactose found in many dairy products. Lactose intolerance can lead to stomach upset, bloating, and diarrhea after eating dairy; these symptoms make it difficult to consume the necessary dairy in your diet. You can eat dairy-free products like soy milk and cheeses to avoid this problem but there are other options. Products like lactose-free milk, ice cream, and cottage cheese can allow these people to enjoy the benefits of dairy without the potential discomfort. It is possible to incorporate dairy products in your healthy diet while avoiding the potential problems. If you want to consume dairy, there are healthful versions of most dairy products for you to enjoy.